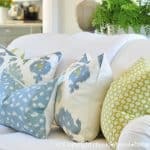 A quick way to refresh your Spring space is with pillows. 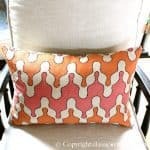 Check out twenty patterned pillows, sources and tips with my HOUZZ guest post. How about a super easy Cinco de Mayo dinner??? Raised in California, I’ve been eating Mexican food all my life. To get the pit out, slam the knife into the pit and twist. 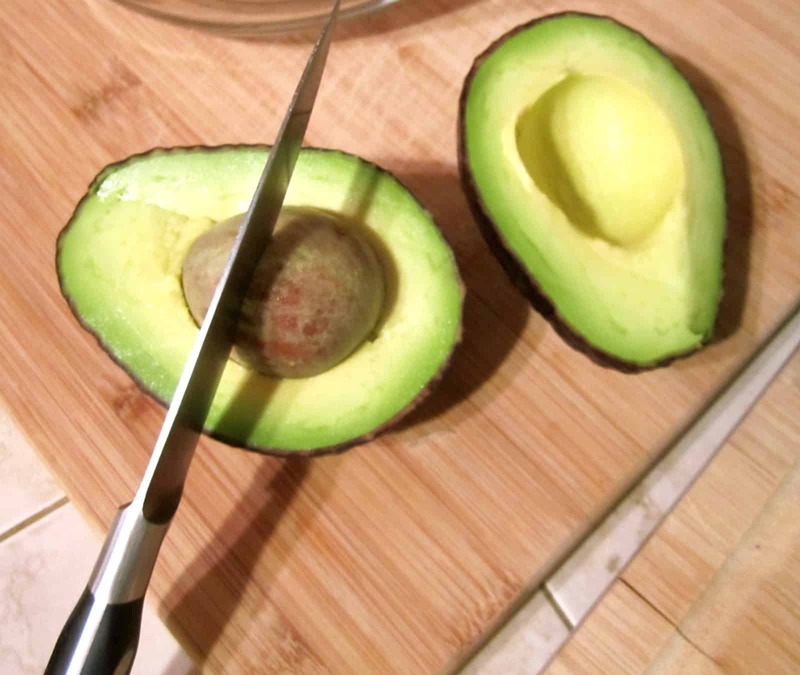 It’s easy to cut with scissors. 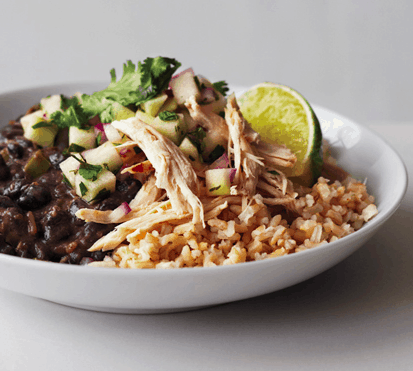 is really tasty and easy to make using a rotisserie chicken from the grocery store. The apple salsa makes it crunchy and unique. Pretty simple. ¡Happy Cinco de Mayo! I am over at Marianne’s today answering lots of crazy questions about ME. You will love her blog if you don’t already. Your mom is so adorable!!!! Looks delicious. Off to Houzz! This post is cruel….now I am craving an alocholic drink, guacamole and quesadillas!!!!! Looks SOOOO good. I have zero willpower around such decadent food:) Loved your guest post. Everything looks wonderful. 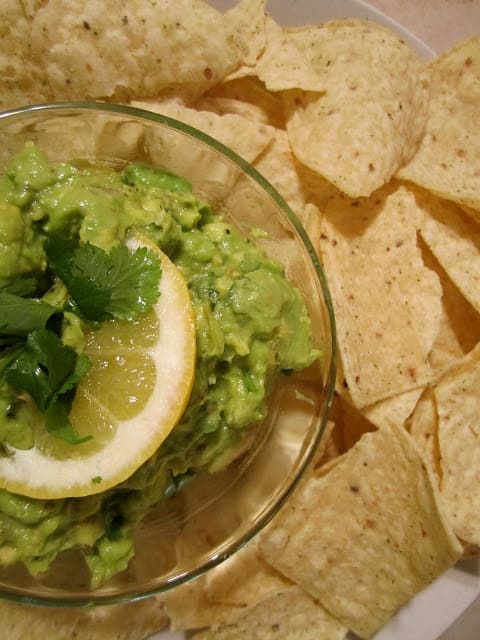 I love guacamole and could easily make a meal of it. Great looking pillows too. I am bookmarking this post! found you via marianne and so look forward to digging into your archives! You're so cute Mary Ann I was just over at Marianne's reading your answers. This post reminds me I need lunch! I bet you make killer guacamole! Love those pillows–perfect for a springtime pick me up! That's right just entice my addiction! What a tasty menu! 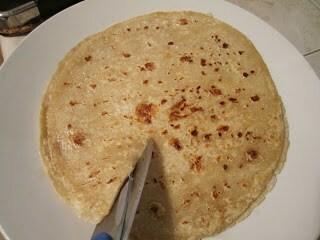 I'm goin to have to make this. 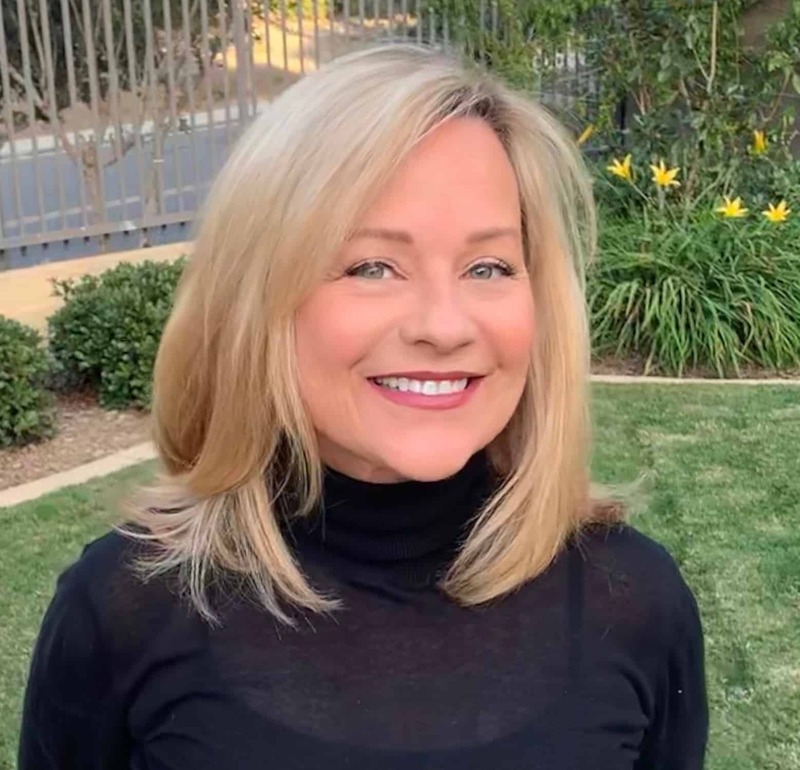 Congrats on Houzz! Off to read. Any thing with guacamole has my vote. Sounds wonderful. i will have to check out Houzz….. I'm ready for Cinco de Mayo – YUm!!! And I could also go for that cappuccino in your guest post over at Marianne's – double yum. LOVED your interview! 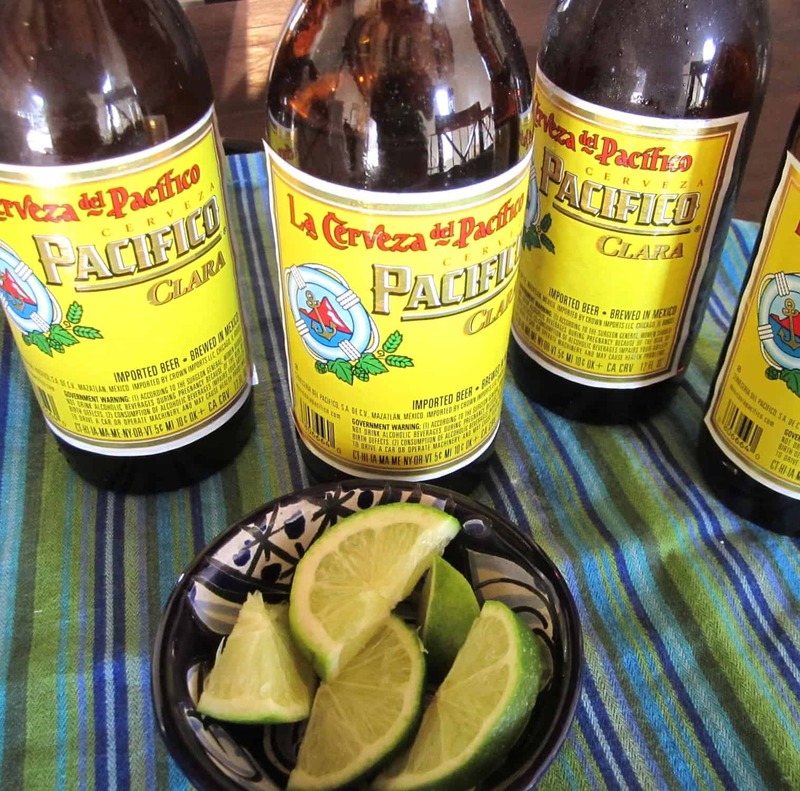 Also love Cinco De Mayo – any excuse for Mexican food! because…..i am free at the moment…. i think i will drive to miami for the celebration. Your menu looks fantastic, I could easily live on that kind of food. And the pillows are beautiful. As a native Texan, I too have eaten Mexican food all my life. A lot of Tex-Mex, of course. You have my mouth watering with that menu! I really love Mexican food weekly but there is something so festive and fun about Cinco de Mayo. I love the garnish in your guacamole…I will have to borrow that idea, the lemon and a bit of cilantro looks so pretty with the guac. Yummy. Have a happy celebration. Your pillow selection is wonderful! And I must be part Mexican, because I could practically live on it alone! So fresh and good! first time visitor and adore your blog! It all looks delicious! Since we moved from Southern California, boy have we missed excellent Mexican food!! I'm heading over to read Marianne's blog. Yum! That all look sooo good! Great tip to cut quesadillas with scissors. It never would have occurred to me! Happy Cinco de Mayo! We make plain ol' guacamole for dinner at least once a week, long as the avocados are in season. 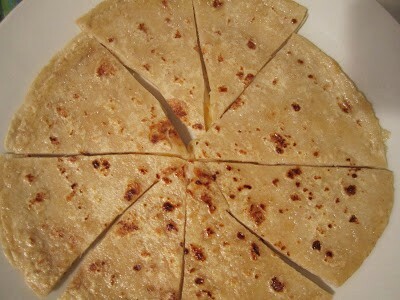 might have to play a little with the tortillas, looks yum! I love changing pillows out for a NEW LOOK!!! Hope you have a fun weekend celebrating with these yummy recipes. Gosh…I wish I had a quesadilla, some of that guacamole and a cold beer right now! Loved your interview at Mariann's. Now I'm going to check out your guest post on Houzz! and those Mexican foods look really sumptuous. 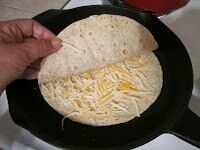 Love the tip for the avocados and cutting the Cheese Quesadillas. Do you know of an easy way to disect a mango? I love them but can never peel and section them without making a mess. How kind of your to entice us this pure delicious food and drink ideas. The pillows…well what's not to love. After all it is spring and time to change thing up a bit. Happy celebrations! I like to lean up against those fresh spring pillows and have this fabulous dinner! Pillows are the perfect way to spruce up a space for spring. Will hop over and visit you at Marianne's! !